Annette and I are in the midst of a long weekend. 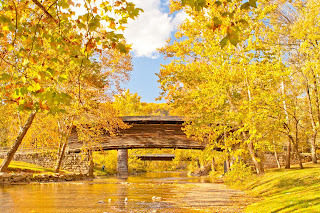 We travelled to Bath County in Virginia to enoy the fall colors and to see how well we can capture them in photographs. 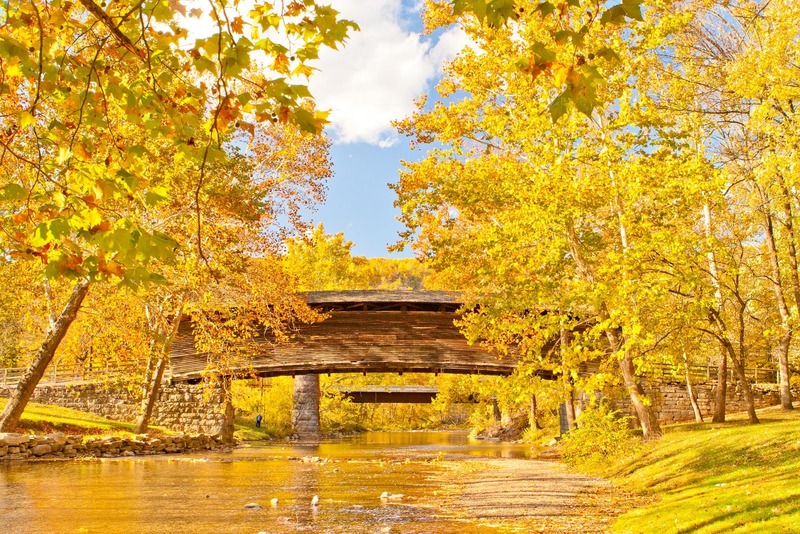 It turns out that we are not doing a very good job capturing the beauty of fall. We see the beauty all around us, but when we view our images, it’s just not the same. Landscape photography is more difficult than it looks! At one stop we made, we were trying to capture a barn in the valley against the backdrop of the fall colors on the mountain. But, alas, we were five minutes too late. The barn was in teh shadow of the mountain on the other side of the valley. Still, I tried to take the picture, but in my haste, I didn’t check my settings and the shutter speed was too slow. I got a blurry mess! But the next day, I was shooting from the deck of the house where we are staying and I remembered that. This time I did it on purpose. 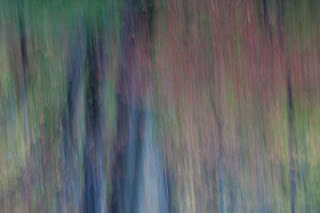 I made some abstracts of the fall colors. I found that the shutter speed is important. The shutter was open for a longer period of time in the first image than in the second. You can tell because the lines stretch farther and there is less detail. 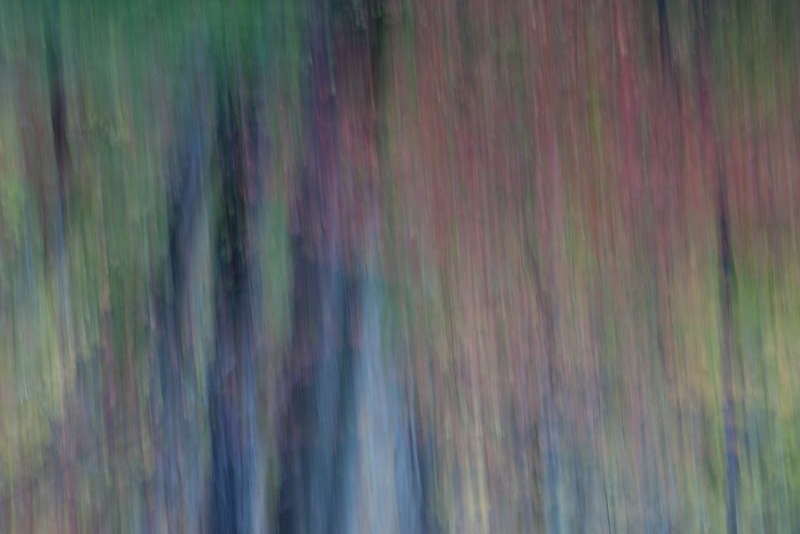 There is obviously more detail in the trees of the second image, which was made with a shorter shutter speed. Experiment until you find the speed that lets you obtain the image you have envisioned. If you want the trees to show up as an element in the image, you must move the camera in the same orientation as the trees. In other words, I moved the camera up and down. Another experiment, is to modify the colors in post production. There are so many presets that you can experiment to your heart’s content. After you apply the preset, you can modify the image with the sliders for saturation, blacks, exposure, etc. 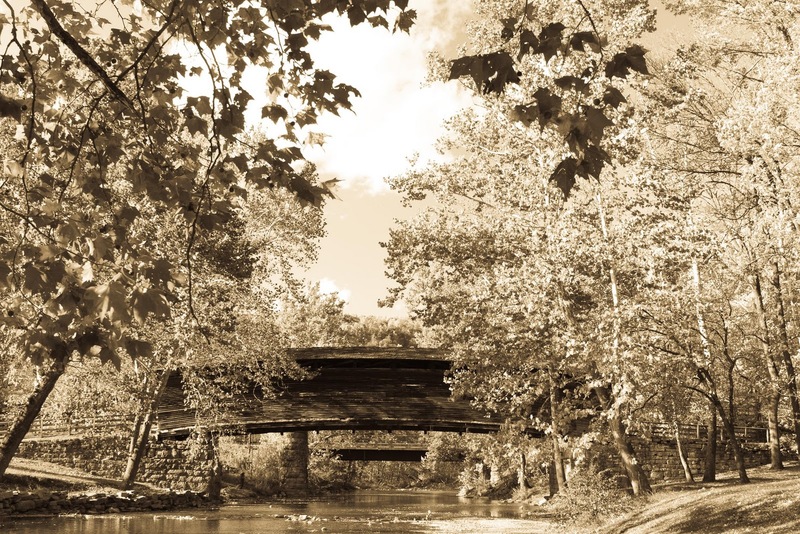 Check out these weird images of the Humpback Covered Bridge near Covington, VA.
Isn’t it weird how the image still has a blue sky? 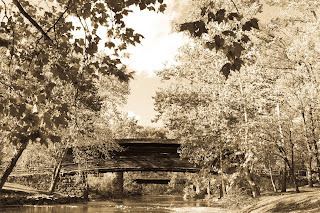 Old time sepia color for an old time bridge. Some experiments work. Some do not. The important thing is that we get out there, use our imagination, make images and continue to grow!